Unsettling stories of torture, suicide and war sulk in the shadows of homes and historic squares all around the Georgia’s First City. Though much of the landscape has changed, a few things have not. Some say these things are spirits who won’t leave their places of tragedy, while other still say it’s just people’s minds playing tricks on them. 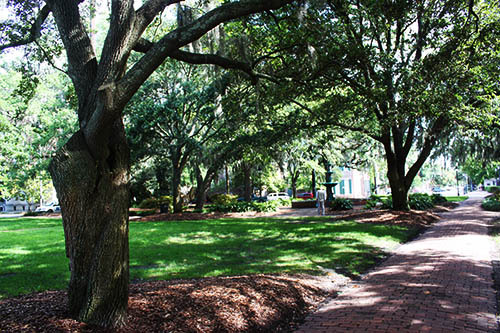 Find out for yourself and visit these supposedly supernatural squares of Savannah. 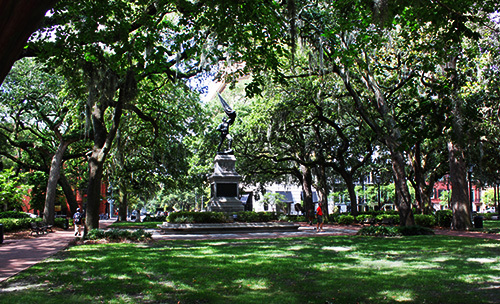 Just beyond Madison Square is the ground on which many lives were lost fighting during the Battle of Savannah. Before it was named after President James Madison, rumors of spirits and reports of paranormal activity surfaced. Some say there was a mass grave for dead soldiers in this very location, though there is no confirmation. 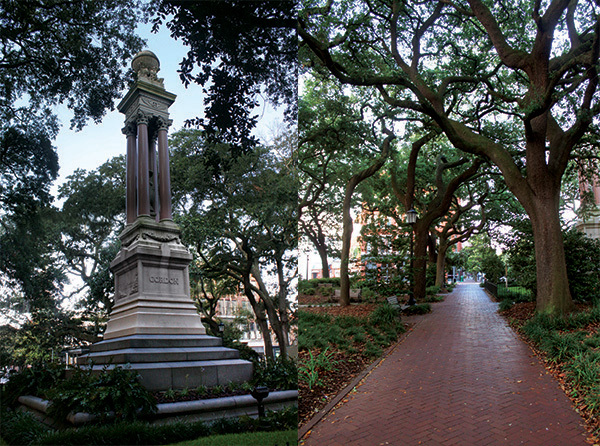 Anchored by the statue of William Jasper, the square’s most common ghost has an eerie resemblance to the monument—a solid black shadow the shape of a full-grown man. Perhaps even more unnerving is the fact that the Sorrel-Weed House—a home where Matilda Sorrel supposedly committed suicide and has been investigated by Ghost Hunters and featured on HGTV’s “If Walls Could Talk” and Travel Channel’s “The Most Terrifying Places in America”—opens to the square. Not to mention the Green-Meldrim House, which was General Sherman’s Headquarters during the Civil War. Today Wright Square may be a beautifully shaded section of land, where guests learn a little history and enjoy snacks from one of the nearby cafes, but it wasn’t always a place people wanted to go. 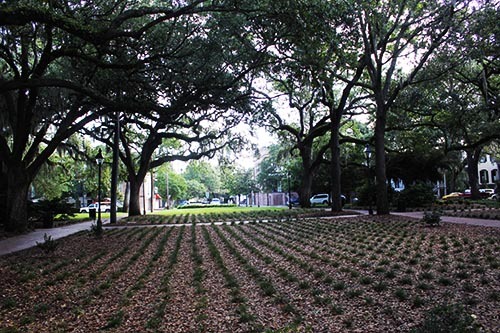 One of the original squares of Savannah, this site was once held gallows where many lives were taken. 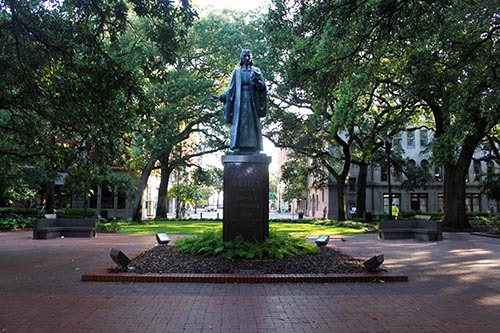 Memorialized in Wright Square, Yamacraw Chief Tomo-Chi-Chi was buried here in 1739, but 100 years later, his grave was desecrated by the city to make way for a monument to William Washington Gordon, a prominent politician and president of the Central Railroad and Banking Company. Does it come as a surprise that Tomo-Chi-Chi has still been spotted centuries later? However, it’s Alice Riley who’s attracted the most attention. The story goes that she travelled to Savannah in 1733 with her domineering husband and several Irish servants. One year later, her husband was found dead in their home—murder suspected. Alice and one of the servants, Richard White, were missing and when suspicion arose, they were sentenced to death. Ultimately both were hung and Alice was supposedly left on the gallows for three days, though she maintained her innocence. 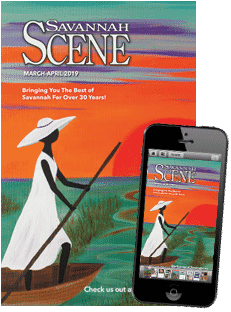 The yellow fever wasn’t the only disease that plagued the people in the early days of Savannah. Right off Reynolds Square, there was supposedly a property that was used for the malaria patients. This hospital included a makeshift crematorium. Legend says that victims of the disease were wrapped in sheets and their bodies were burned, right in the middle of what is now the square, to prevent the disease from spreading. Perhaps that’s why when visitors photograph John Wesley’s monument, strange apparitions and spots show up in the photos. Wright Square isn’t the only with haunted homes on its premises. Where Abercorn Street meets East Macon Street, guests will find both the Andrew Low House and Hamilton-Turner Inn opening to Lafayette Square. Tragedy may not have struck the square, but the unsettling stories behind closed doors have not stayed indoors—and neither have their ghosts. Known for its magnificent, the Hamilton-Turner Inn was built in 1873 for Samuel Pugh Hamilton, the mayor of Savannah who was also a jeweler and collector of artwork. His home became somewhat of a private art museum and rumors say he took measures extraordinary measures to protect it, even hiring a guard to stand watch on the roof with a rifle. The story goes that one night his guard was found dead. With no one willing to replace him, some say that Hamilton went up there to keep watch. Coincidence or not, Hamilton soon developed a sickness and died in 1899. Whether the home is cursed is up for debate, but who is the cigar-smoking man on the rooftop so many have seen? Just across the street, the Andrew Low House holds its own host of ghosts. From the friendly spirit of Tom the butler whose footsteps are often heard, to “The Lady on the Bed” rumored to be Juliette Gordon Low lying on her deathbed, the paranormal activity is high in this house-museum. Reports often surface of cold spots and areas with an aroma of a sweet perfume. The rocking chair on display in an upstairs room, which is said to have belonged to the Low family, has even been seen rocking on its own and many accounts say there’s an older gentleman dressed in a suit and hat that frequents the home and has an uncanny resemblance to General Robert E. Lee, who was known to be a close friend of Andrew Low. Five blocks south, Calhoun Square is host to a set of spirited abodes. Rumors and legends abound at 432 Abercorn Street. From a daughter who died of heat stroke and dehydration after her father tied to a chair and left her for days to a family with four daughters who went out and returned to find three of the girls dead. Reports of pounding, crying and even giggling have surfaced, as well as an overwhelming chill in the air near this dilapidated building. Other rumors surround that of Wesley Espy, the son of a federal judge, who fell to his death from a porch at the Epsy family home. It is said that Wesley’s father, a man who was known for his bad temper, was involved with bootleggers and his son, a deacon at the Wesley Monumental United Methodist Church, began to date someone in the congregation who just so happened to be a involved with one of the bootleggers. Perhaps it was retaliation or a father trying to stop his son that ended badly. One thing is known—his father was never charged or even investigated. But it’s not just the homes that hold the haunting history. In the early 2000s, workers supposed dug up bones when demolishing a sidewalk in front of the Massie Heritage Center. 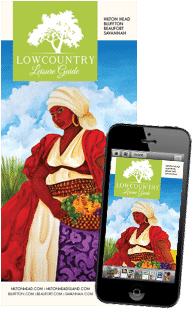 From construction site to crime scene, the remains were analyzed and found to be that of African-American slaves who were buried 200 years prior.